Car polishing is probable the easiest way to add value to your car.Dull or damaged paintwork can de-value your car and damage the paint even further. Not only does it look unsightly, you are losing money by doing further damage to your paintwork.With our polishing process we specialise in removing the scratches.The clients car paintwork is accessed individually and the scratches, fallout organic and inorganic are taken care of. After the process you can have body glaze or paint protection applied to the surface of your car. We use quality products that can be wash resistant or supply a long term protection, depending on your requirements and cost-ability. We work on new and used cars. When it comes to polishing we are the master technicians. Do you remove all scratches from the paintwork? As long as the scratch is not all the way through the paint to the metal, it will be removed. While many polishing processes hide scratches, they come back after washing. 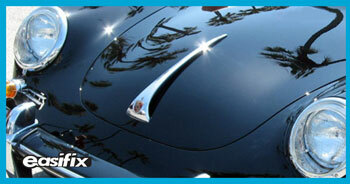 We remove the scratch from your paintwork totally by attending to the surface. We work on new and used cars. It is advisable to have all small dings removed from your bodywork while doing this process. I have bumps in my paintwork when I run my hand over a panel? You have industrial fallout, that we specialise in removing. We remove organic and inorganic fallout. Our technicians will access the body work of your car to determine what fallout you have. 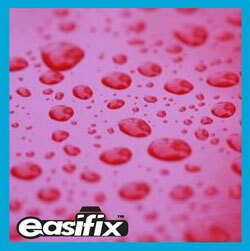 The surface of your car will be chemically rinsed, clay bared, or polished and in some cases rubbed down. After the process your car will be smooth and shiny as new. How can I protect my paint work? We can offer you a wash resistance, 6 month or 12 month paint protection system from fallout and minor scratching at very competitive prices. While some companies offer 5 - 10 year protection with small print and silicon shampoos, we can offer you a good product at a good price (no nonsense). Remember, your paintwork should be attended to once a year. This is a process where we match your car colour and brush touch the chips and door edges with matching paint. Not only will your car look 100 times better, it will stop rust and also add value to your car. Do you do normal polishing? Car had scratch removal and paintless dent removal done.The car was dented on the left rear and right rear fenders. the front of the car was badly chipped. The bonnet and front bumper were badly pitted and were pencilled and airbrushed then coated with paint protection.